You are currently browsing the tag archive for the ‘worship band’ tag. If you’ve been paying attention, you’ll recognize Todd Berger’s name from his work with Enter the Worship Circle on the Village Thrift Circa 2005 album, back from… uh… right around 2005. Together with Ben and Robin Pasley, Ryan Lott, and Doc Harrill, Todd helped create something genuinely new in worship music, which is a rare thing when it happens. Overall, I liked the album. I thought some songs were phenomenal, some were really good, and some just shouldn’t have made the final cut. Like most albums, it was a mix of good and bad, but what it did more than anything was prove that a worship album didn’t have to be Chris Tomlin-influenced worship-rock (which there’s nothing wrong with), redone hymns (also, nothing wrong here), or simple acoustic songs ala Enter the Worship Circle’s normal stuff (again, nothing wrong with that either). There’s a new Village Thrift album in the works, which should be even better than the first, but while you’re waiting, Todd Berger is about to release his own solo album, And Have Not Love. A friend of mine introduced me to the Australia-based Sons of Korah about a year ago. 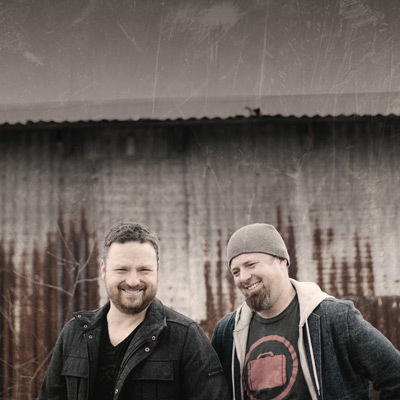 With an alt-folk sound influenced by world beats, the Sons of Korah are Matt Jacoby (lead vocals, guitar), Jayden Lee (resonator, mandolin, nylon guitar, glissentar, harmony vocals and some lead vocals), Mike Avery (bass), and Rod Wilson (percussion and drums). well, that’s who they used to be, but Jayden Lee has left the group to pursue ministry in different areas. Click here for a string quartet piece, Caroline’s Processional, which he composed for his wife. Today in the Worship Wars I’m bringing in one of CCM’s favorite worship groups – Shane and Shane. I know, it’s pretty shameful to have so much CCM stuff on this blog lately, but the indie worship scene really is pretty slim. I’ve still got more indie guys to pull in, but some of the CCM worship stuff deserves your attention. I first heard of Shane and Shane years ago, but it took until last November before I finally gave in and listened to them. I figured that since they were CCM they had to be lame. Well, they’re definitely not making “cool” or “artsy” or “indie” worship, but the songs they’re doing are amazing all the same. Taking a complete worship turn-around from the last band I posted about (Delirious? ), today I give you one of my favorite musical groups of all time, the Psalters. They’re crazy worshipers, insanely talented musicians, and radically devoted Christians. If you haven’t given them a listen yet, I think you’ll really dig ’em.